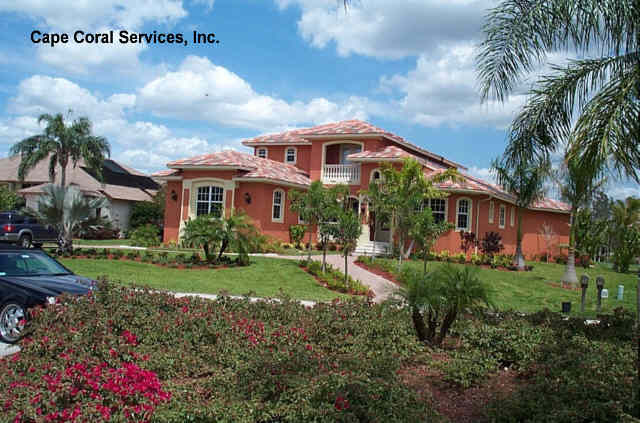 Luxury, Executive 4 bedroom 4 bath vacation villa at Fort Myers , perfect vacations on the Gulf of Mexico. This fantastic villa (3380 sq. 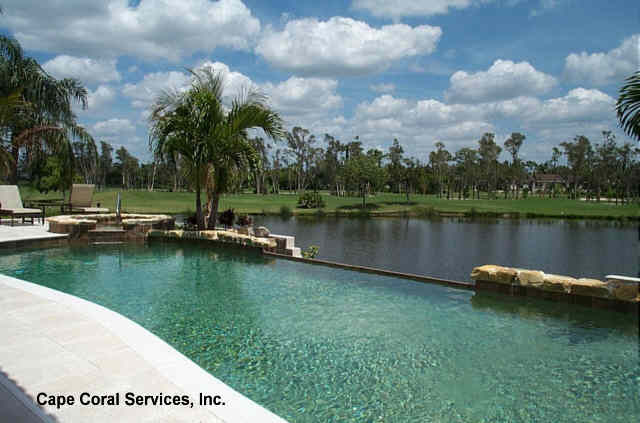 ft.) is located in a Golf community, direct on a lake in Ft. Myers. The great patio has it all: 2050 sq. ft, 8 chairs, 4 tables, 7 sun chaises, electric grill in open kitchen and tv. The patio has no screen. Inside the house you will find the tiled living room with cable tv, dvd, stereo system w/ cd, phone/fax. There is a dining area with 8 seats and a nook with 4 further seats. The kitchen includes oven, microwave, dish washer, fridge w/ icecrusher, toaster, coffeemaker, mixer, just everything one needs. The bedrooms are: 2 x Master (kingsize, tv) and 2 x Guest (each 2 single, tv) The huge poos has a size of 36 x 16.5 ft. and a spa/whirlpool in addition. And a great view over the lake. • The amount has to be paid 6 weeks before arrival. • Cancellation charges: More than 6 weeks before arrival: deposit only, 6 weeks or less: Full amount.